With the wide variety of electrical gadgets we now have plugged into our electrical sockets, it’s no wonder our electricity bills are increasing year-on-year. One way of cutting your electricity bills is discovering the appliances which use the most electricity. To help you do that Currant has reinvented the smart outlet “from the inside out”. – Instantly discover which devices consume the most electricity in your home. – Create schedules and rules to control your lights, appliances, and electronics, and save on energy costs. – Plug in two devices at once and control each independently. – Quick and easy set up with our intuitive iPhone app. 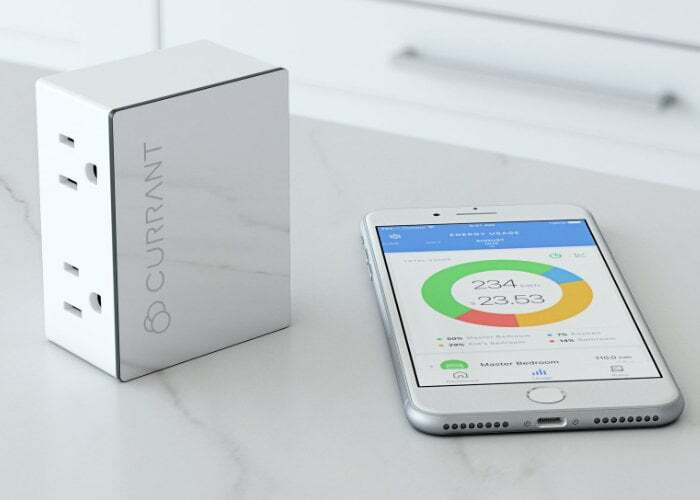 For more details and to purchase your wireless smart outlet priced at $60 jump over to the official Currant website by following the link below. Each smart outlet comes with a one-year warranty and a 60 day money back guarantee with shipping throughout the United States included in the price.